Hey guys! It's the month of looooove! Just in case some of you love me, I'm happy to receive a few boxes of chocolates. Also, if you know someone that might have a crush on me, just show him my Christmas wish list post HERE and he's pretty much good to go hehehe. 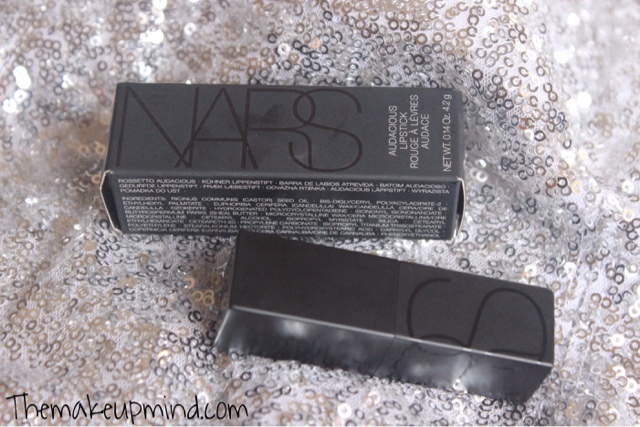 Nars has several shades of their audacious lipsticks but this is one very popular shade. 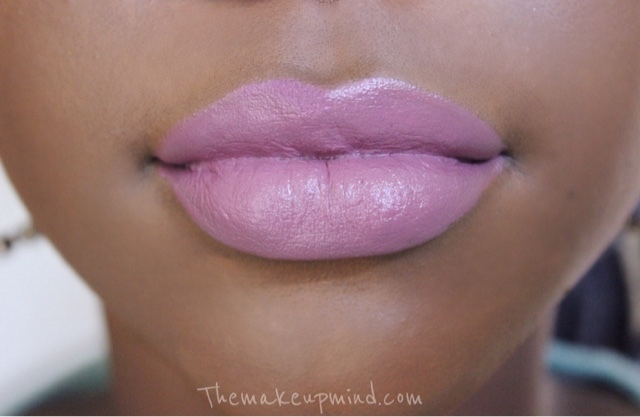 I first saw this lipstick on Patricia Bright and it looked really pretty! So when I got it as a gift from thatigbochick, oh boy was I excited to try it out! Okay let's first start with the packaging of this lipstick. The box it comes in has a very sleek black and luxurious look. It's made of suede guys! Suede! The lipstick itself is quite heavy and you would instantly know that they paid a lot of attention to the quality of the packaging. It also has a magnetic cover which is pretty cool. 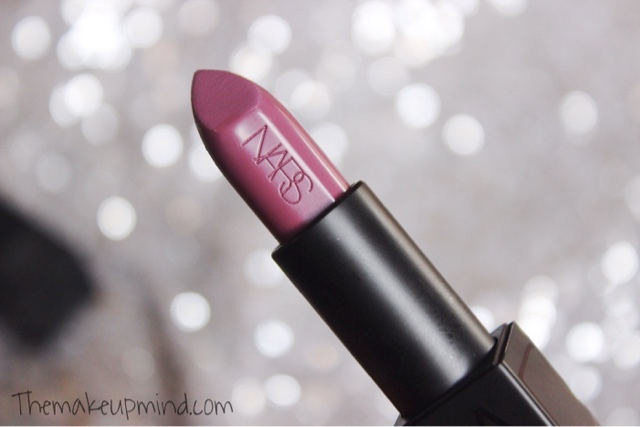 Upon application, this lipstick feels sooooo creamy and nice on the lips. This is so far the smoothest lipstick application I've ever had. Also, it is completely opaque! All you need is one swipe of this on your lips and you're very good to go. 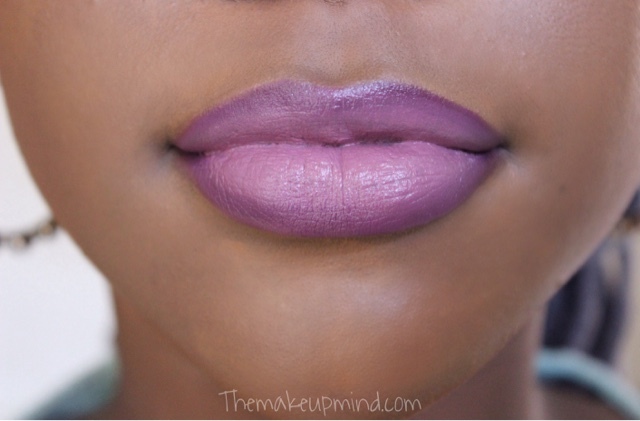 It kind of feels like the Mac amplified finish lipsticks but this is a lot creamier. It can last for up to 7 hours without reapplication but if you eat in between, you're going to have to apply some lipstick again because of its texture. 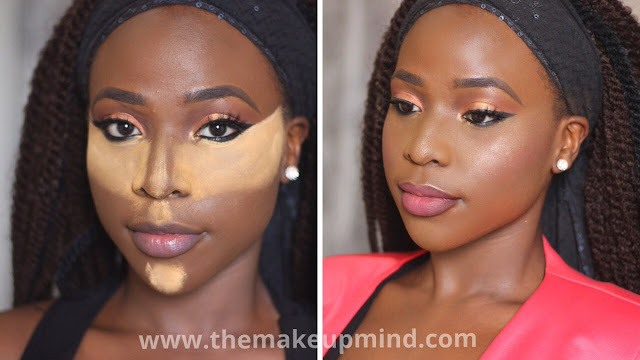 Also, this shade can look ashy on dark skin so I prefer to use either a dark brown or a dark purple pencil to line my lips. The only thing I don't like about this lipstick is its bland smell. I expected more.